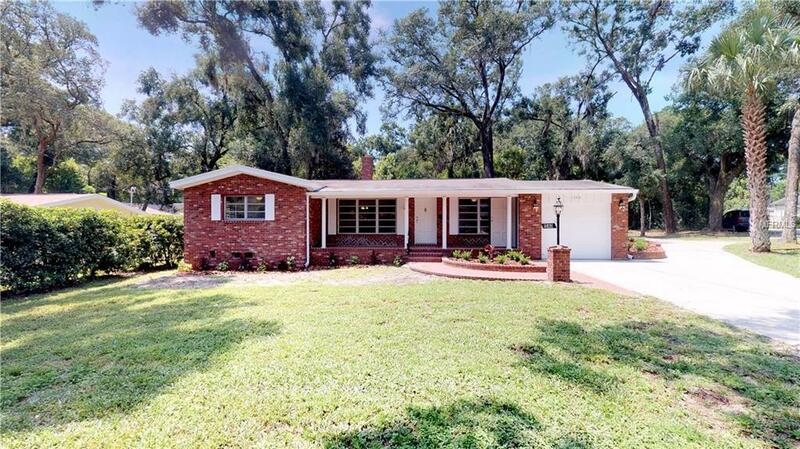 Corner lot, brick home featuring 3 Bedrooms 2 Baths with new renovated kitchen, baths, designer tile and original hardwood floors in the living room. Beautiful new lighting, granite countertops throughout, new HVAC, water heater and new well. Roof replaced in 2006. 1 car garage attached! Centrally located near Downtown Deland, I 4 and Orlando. Listing provided courtesy of North Beach International Rlty.